Can you beat that kind of commitment? 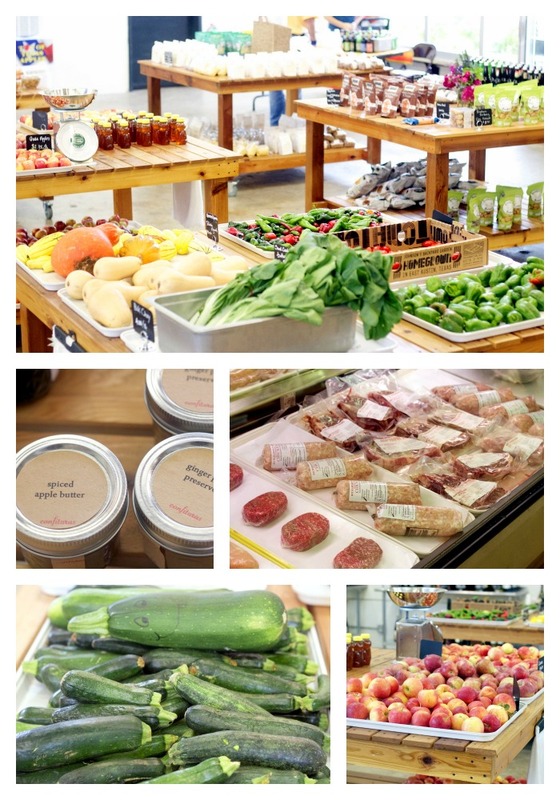 The Monument Cafe is all about farm fresh food. They use vegetables that are mostly organic, all natural meats, and all natural free-range eggs. The restaurant was packed, but it didn’t take us long to get seated. Score. 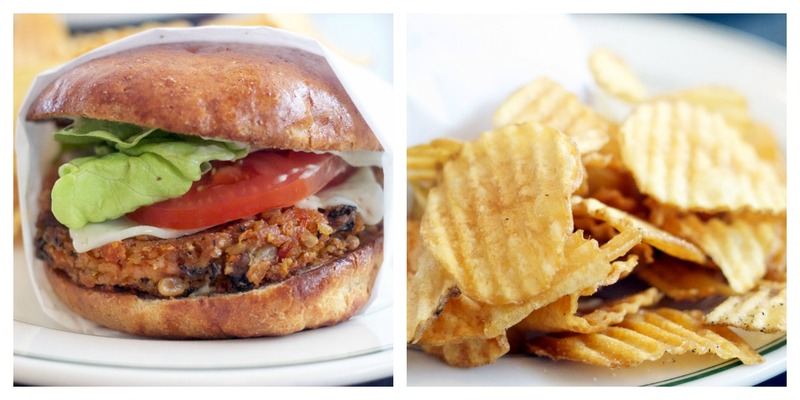 The wife ordered their veggie burger – a house made patty (brown rice, beets, black beans, sunflower seeds, sundried tomato), pesto mayo, lettuce, tomato, cheese and onion on a whole wheat bun and served with a side of house-made potato chips. 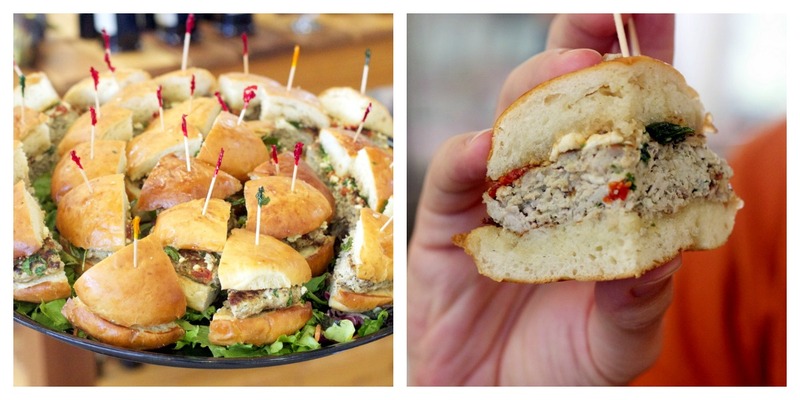 This wasn’t your typical veggie burger. My wife said she hadn’t had anything like it before. Just another testament to their impeccable service… My wife’s not really a fan of sauces or dressings on her food. She prefers to get these things on the side so that she can control the amount and proportion things out the way that she likes. But for some reason or another, she almost always forgets to ask for the sauce on the side. This occasion was no different. And to her horror, her veggie burger came out with a liberal application of the pesto mayo on both buns. When we explained the situation to our waiter, he was more than happy to take her plate back and give her a new bun for her burger, mayo-free. No anger, no irritation. He was actually apologetic as if he had made a mistake. Pretty impressive. As for me, I ordered (no surprise here) the cheeseburger. Although, I must say I was tempted by their entire menu filled with Southern comfort food. I fought off the temptations and was greeted by this beautiful sight. I got my burger with all the trimmings – 8 oz. all-natural beef patty, cheddar, lettuce, tomato, pickle, onion, mayo and ketchup. Classic. 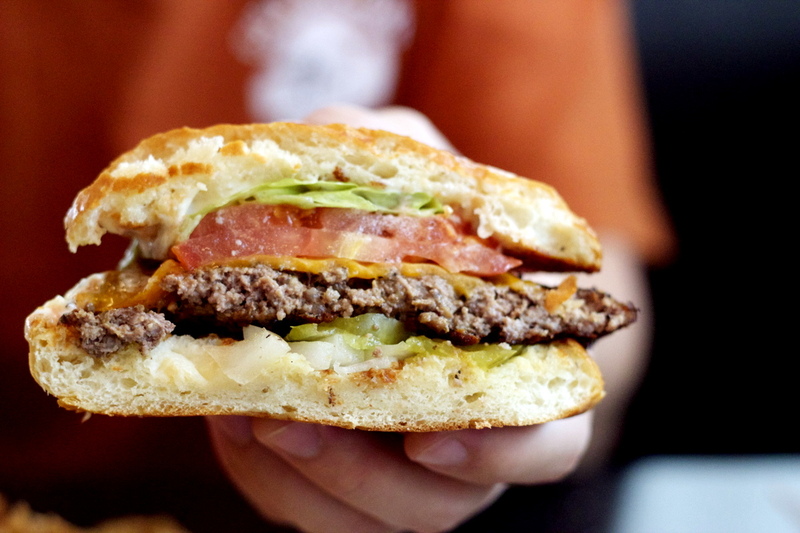 A simple no-frills cheeseburger made with quality ingredients. Had I grown up several decades ago, I feel that this is the burger that I would’ve been eating. It was as if I was eating a piece of Americana. The patty was cooked more than I usually prefer, but it was satisfyingly meaty and juicy. I also would have preferred the beef a little more salted, but what it lacked in salt, it more than made up for with a beautiful crust. 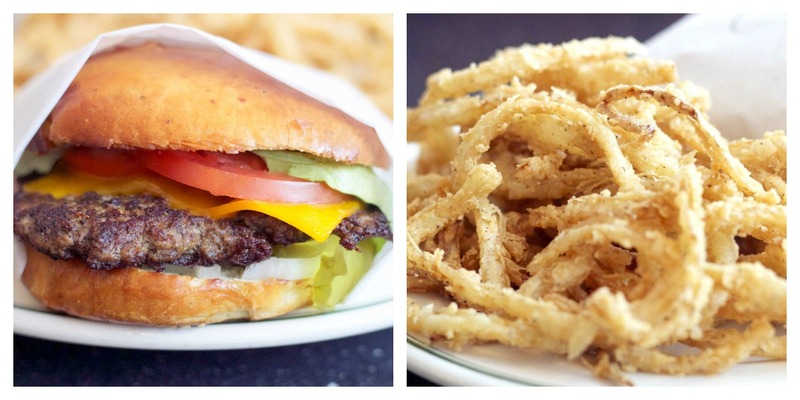 To accompany my burger I ordered a side of their delicious hand-breaded onion rings and a tall glass of Dublin Dr. Pepper. As I ate my burger, I couldn’t help but overhear the waitress at the table behind me talking about how they use the freshest ingredients possible and make almost everything from scratch in house. 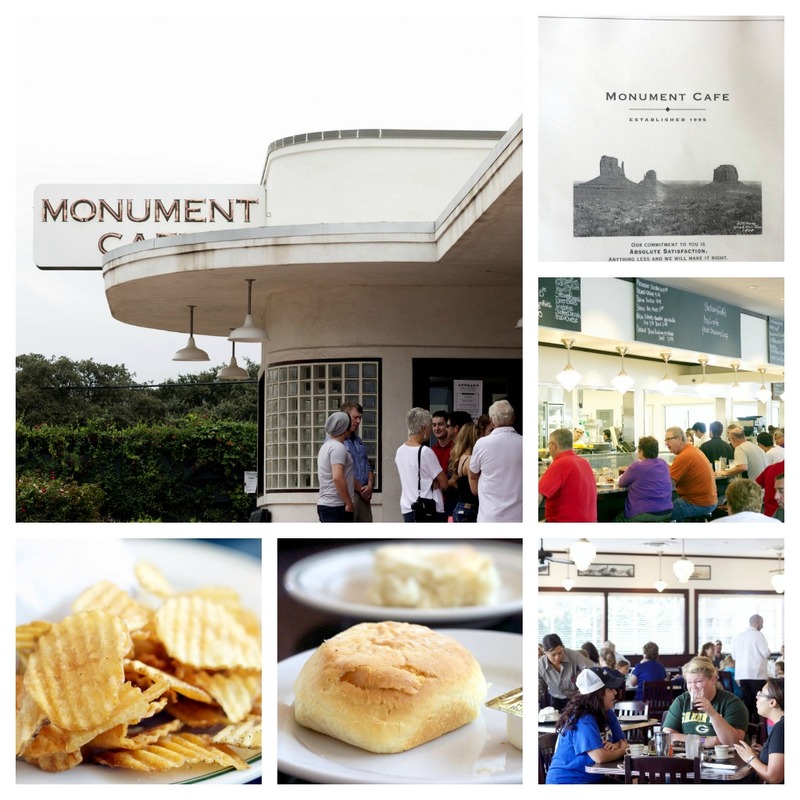 She also noted that the Monument Cafe had been on FoodNetwork’s “Diners, Drive-Ins and Dives”. Apparently Matthew McConaughey is a fan because it was he who brought Guy Fieri out to the roadside cafe. As I left the restaurant, I couldn’t help but be pleased with my experience – solid burger, excellent service, wonderful atmosphere. If you ever get a chance to visit the Monument Cafe, after you enjoy some farm fresh food, be sure to stop by their market right next door. It was brimming with fresh fruits and vegetables and even had a fresh meat case filled with a variety of all-natural meats from Richardson Farms. And as luck would have it, they were giving out free samples of a turkey burger which I hope to find on the Monument Cafe someday soon. It was pretty darn good dressed with their pesto and balsamic butter.